Terra Baker to the far right, with the rest of the EA of the Year Award winners and JD Kathuria. She’s the crucial force keeping the leadership of SOSi’s most complex areas of operation on time, on budget and on task. Serving as executive assistant to the senior vice president for SOSi’s Missions Solutions Group, Terra Baker regularly coordinates meetings spanning several time zones and manages the “highly dynamic global schedules of the group’s leadership,” an executive at the firm says. Baker “has the uncanny ability to be everywhere at once, yet she always has the time to extend herself to support a colleague request or to champion a corporate philanthropic cause,” the executive says. Baker’s achievements recently landed her the EA of the Year Award as part of the 2018 Pinnacle Awards, which honor leaders and influencers in the GovCon space. One of Baker’s other significant undertakings has been taking on a role supporting the senior vice president of the company’s second-most complex department — the business development group. “This extends her duties beyond support for a fast-moving, globally oriented-team to include support of a department that is highly deadline driven and at any point in time, could have hundreds of live and pending proposals in process,” a company executive wrote in her nomination. Baker was also praised for her community service, serving as the Mission Solution’s Group liaison to community partner Cornerstones, helping to organize cookouts, packaging personal care kits. 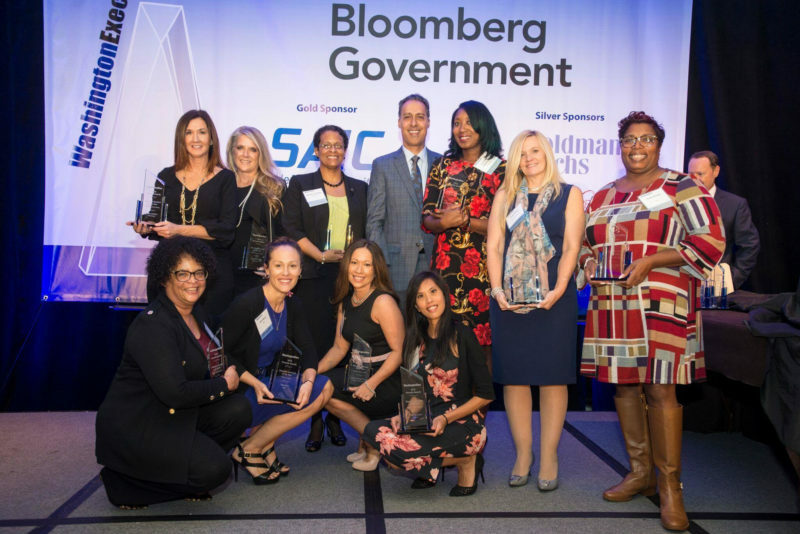 The 2018 Pinnacle Awards were presented by WashingtonExec on Nov 1. Winners were named from list of 50 finalists across 13 categories. In the EA of the Year category, five EAs from public companies and five EAs from private companies were named winners.